Is your mattress too soft and not providing the support you need? Lack of proper support, can lead to neck or back pain, stiffness, or overall loss of quality sleep. 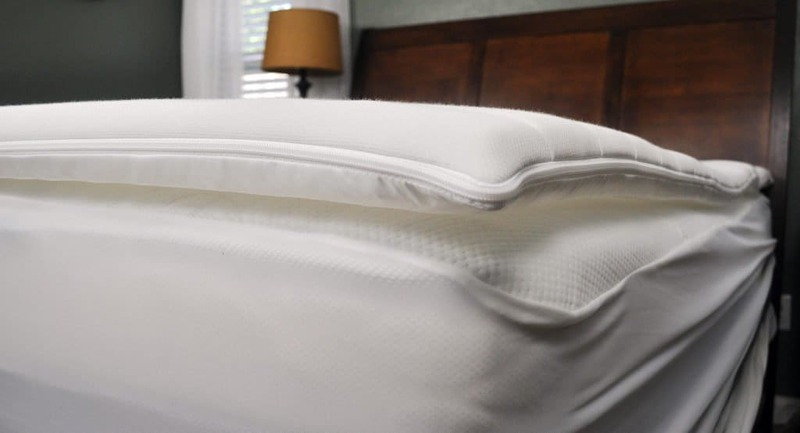 The Airweave mattress topper is designed to address this issue by providing additional support and firmness in a unique way. This review introduces a responsive mattress topper completely free or coils or foam – sound intriguing? Keep reading below to find out more about this unusual design solution to an old mattress problem. Don’t have time to read the full review? Not to worry. Click here to go straight to the review summary. Is your mattress too soft and not providing the support you need? Lack of proper support, can lead to neck or back pain, stiffness, or overall loss of quality sleep. The Airweave mattress topper is designed to address this issue by providing additional support and firmness in a unique way. Use the code SLEEPOPOLIS to save $50! 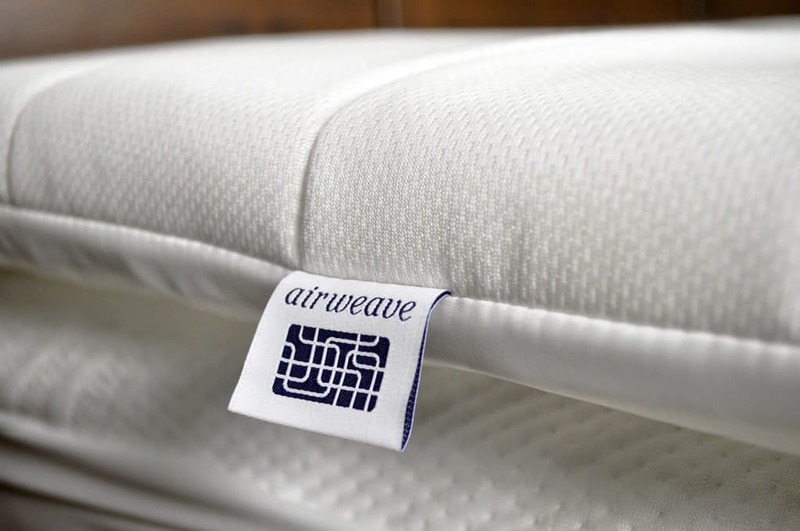 The Airweave mattress topper is made up of 1.8” of interwoven airfiber. What is airfiber? Airfiber is a proprietary technology from Airweave, a company born in Japan. It is made up of 100% food-grade polyethylene, is BPA free, eco-friendly, and hypoallergenic. 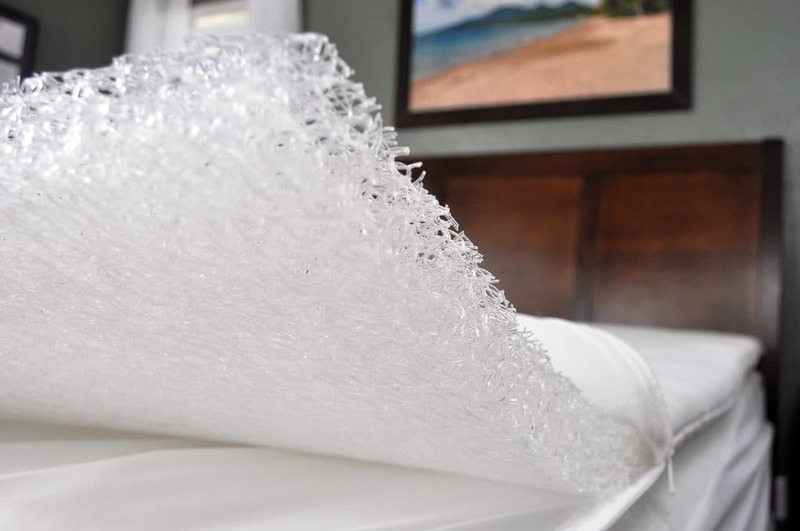 The airfiber that makes up the core of the mattress was inspired by natural resin fishing line. At its core, it resembles firm, tangled, plastic string. The cover of the topper contains a combination of polyester (55%) and cotton (45%) to create a quilted mesh, with stitching that runs longitudinally to create a soft and clean aesthetic. The underside of the topper is a 100% polyester backing with a zipper to easily wash the cover and air dry. [The interior Airfiber fill] can be rinsed with mild soap and cool water. Customers [can] spot clean or bring into the bathtub or use a hose to rinse off. 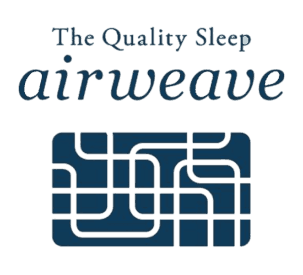 The Airweave mattress topper adds a significantly firmer feel to any mattress it is placed on. The airfiber material in the topper creates a quicker response time with higher levels of bounce. The mattress topper was first tested on top of a mattress placing at a 6 out of 10 on the firmness scale, where 10 is the most firm. However, after placing the pad on top of the mattress I noticed a higher degree of support and firmness. When using the Airweave topper the firmness increased from a 6 to an 8 out of 10. The topper itself didn’t allow for much sinkage and took away from the softer feel of the mattress. While there was a high degree of support, I didn’t feel the pressure relief or contour that came from the underlying mattress. For additional comparison, I also tested this topper on a mattress that is 3.5 out of 10 on the firmness scale, for greater contrast. 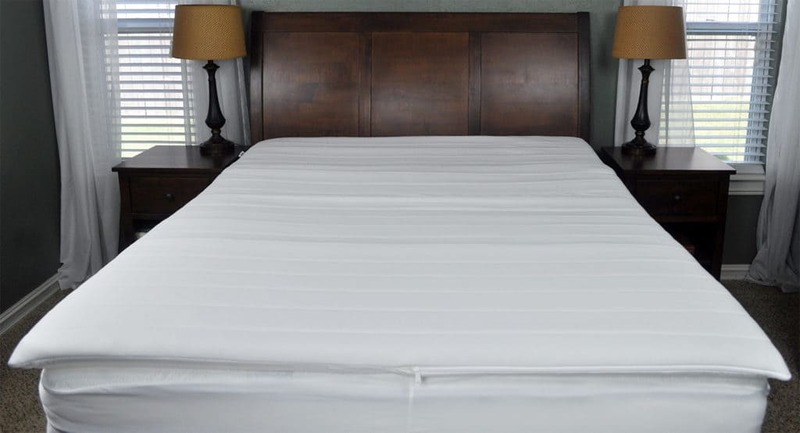 On this mattress, the topper made the mattress feel closer to a 6.5-7.The excessive softness of the underlying mattress would usually result in more hug and deeper compression, however with the Airweave topper, the mattress had more of a floating feel. Should I Buy the Airweave Mattress Topper? Want added firmness – The unique use of airfiber results in a mattress topper that is surprisingly dense and firm. In both testing scenarios (with a medium mattress and with a soft mattress), the addition of the Airweave mattress topper increased the mattress firmness by about 30-50%. The softer the mattress the higher the increase in the firmness will be, while firmer mattresses that add the topper will see a firmness increase, but it will be less dramatic. Want greater edge support – The density of these fibers also created stronger edge support. This was especially noticeable on the sleep test with the softer (3.5) mattress. Want nice cooling – Depending on the material composition of the mattress below, some sleepers may notice that this topper makes a mattress cooler. This was more noticeable on a 100% memory foam mattress and less noticeable when used on a combo-foam mattress. For more information on the Airweave mattress topper visit Airweave.com and for more information the Airweave mattress check out our full Airweave mattress review. It comes as no surprise that the Airweave mattress topper may not be suitable for all sleepers. This mattress topper made the underlying mattresses significantly firmer than it was without the topper. The benefits of this unique materials are exceptional firmness, great cooling, and reinforced edge support.